UW Health is bringing social workers, pharmacists and doctors together in a new clinic for lupus, an autoimmune disease that often strikes women at childbearing age. Many patients are active and healthy before developing symptoms of lupus, which include fatigue, joint pain, rashes and sometimes seizures, strokes or kidney failure. For people starting families, raising children or approaching peaks of careers, the diagnosis can be devastating, said Dr. Shivani Garg, a UW Health rheumatologist heading up the clinic, which starts Feb. 12. In regular clinics, doctors rarely have time to focus on quality of life, Garg said. At the new lupus clinic, social workers will help with financial and mental health struggles and pharmacists will discuss medication side effects, she said. Lupus is a mysterious disease, with no known cause. Environmental, genetic and hormonal factors are believed to be involved, according to the Centers for Disease Control and Prevention. Women ages 15 to 44 are at greatest risk, but lupus can affect men and people of other ages. Minorities are at greater risk than whites. 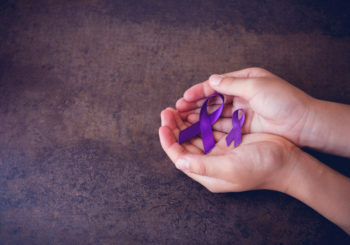 The CDC says some 322,000 Americans have lupus, while the National Resource Center on Lupus puts the figure at 1.5 million, saying 16,000 new cases are reported each year. UW Health has more than 600 patients with lupus, Garg said. Jordana Lenon was diagnosed with lupus in 2011 after she started shivering outside on the Fourth of July, when the temperature was in the 80s. Earlier, she had swollen joints, lung pain, a face rash, days of high fevers and infections that wouldn’t heal, among the hallmark symptoms. The Madison woman — now 55, with two sons in their 20s — was 48. Lupus damaged her kidneys, made her unusually sensitive to heat and cold and caused some of her hair to fall out. Medications helped, and today she lives a fairly normal life. She works full time as public information and outreach specialist for the Wisconsin National Primate Research Center and UW-Madison’s Stem Cell and Regenerative Medicine Center.